WIN an annual membership to The Healthy Mummy app and smoothies! We’ve teamed up with The Healthy Mummy to give one lucky reader the chance to win an annual membership to the NEW Healthy Mummy App, plus three The Healthy Mummy Smoothies. The Healthy Mummy is the largest mum’s only program that supports and empowers mums around the world to get fit and lead a healthier lifestyle. 1 x annual membership to the NEW Healthy Mummy App – the app keeps you accountable and helps you achieve your goals with achievable, fully instructed 30 minute at home video workouts including strength training, cardio, fully body and pilates, with no equipment required. The app is home to over 4,000 budget and family friendly recipes too that focus on time saving. 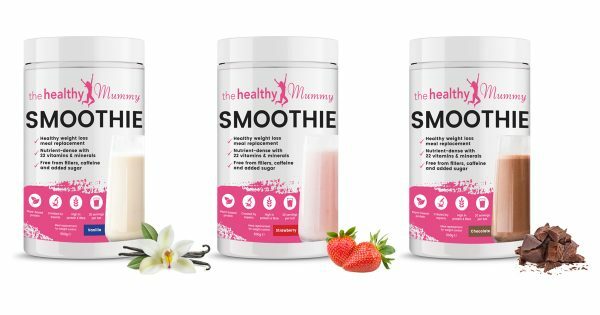 3 x The Healthy Mummy smoothies – developed by leading nutritionists, each smoothie is free from nasties including fillers, caffeine and added sugar and is nutrient dense with 22 vitamins and minerals. The Healthy Mummy smoothies are the perfect meal replacement for mums and are breastfeeding friendly. To enter, simply answer the question and fill in the form to the left before the closing time of Monday 18th February at 3pm.